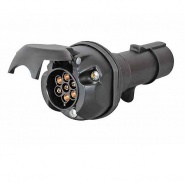 24 volt to 12 volt trailer lighting converter, input 24 volt 7 pin plug (24N) to output 12 volt 7 pin socket (12N). 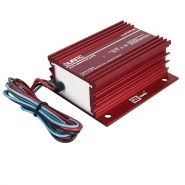 24 volt to 12 volt trailer lighting converter, input 24 volt 7 pin plug (24N) to output 12 volt 13 pin socket. 24V to 12V converter, 1.5A continuous 2A intermittent load, linear construction non isolated return, for radios and cassette players/CD. 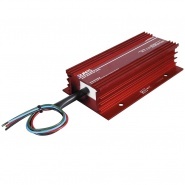 Voltage converters and droppers from Arc Components Limited. Various style Durite voltage converters covering 24V to 12V dc and 12V to 22V dc converters for a bus wayfarer ticket machine. 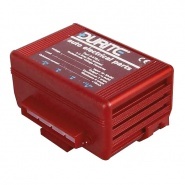 Protected voltage dropping products, designed to run 12V dc equipment from a 24V dc supply on commercial vehicles allowing the use of 12V DC lighting and equipment in cabins or vehicle compartments. 24V to 12V converter, 5A continuous, 7A intermittent load, switch mode isolated return, for radios, CB and cell phones. 24V to 12V converter, 5A, 7A intermittent load, switch mode isolated return, 50mA auxiliary output to power radio memories etc. 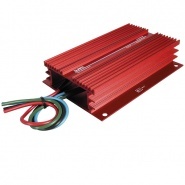 24V to 12V converter, 10A continuous, 15A intermittent load, switch mode isolated return, applications incl. heavy duty communications. 24V to 12V converter, 10A, 15A intermittent load, switch mode isolated return, 50mA auxiliary output to power radio memories etc. 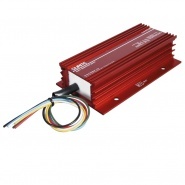 24V to 12V converter, 22A, 28A intermittent load, switch mode isolated return, applications include heavy duty communications. 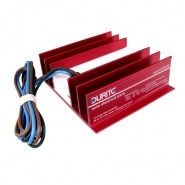 12V to 24V, 10A continuous use, specially designed to operate wayfarer ticket machines at 20V-22V. 24V to 12V voltage converter, 3A continuous, 6A intermittent load, switch mode non-isolated return, for radio cassette players, etc. 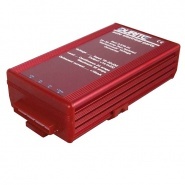 24V to 12V converter, 6A continuous, 10A intermittent load, switch mode non-isolated return, for radio, cassette players and CD players. 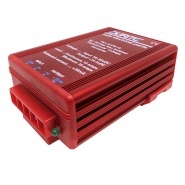 24V to 12V converter, 6A, 10A intermittent load, isolated return version meeting the recommendations of the petroleum institute. 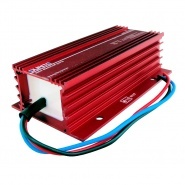 24V to 12V converter, 12A, 18A intermittent load, switch mode non-isolated return, for multiple applications or some audio systems. 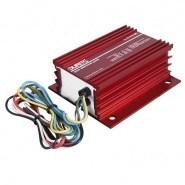 24V to 12V converter, 18A, 21A intermittent load, switch mode non-isolated return, for multiple applications or some audio systems. 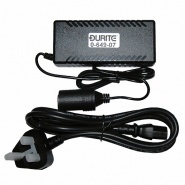 24V to 12V converter, 24A, 30A intermittent load, switch mode non-isolated return, for audio systems and HF radio transmission. 24V to 12V converter, 24A, 30A intermittent load, isolated return version meeting the recommendations of the petroleum institute. 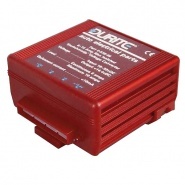 Durite 230V to 12V DC power pack converter. Converts 230V AC to 12V DC (7A DC, 84W). 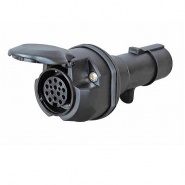 Comes with cigarette plug 12V socket. 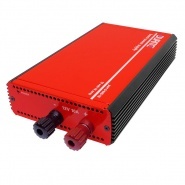 Bench power supply unit, designed to produce a stable voltage supply for workshop bench testing.